English Mum is hosting a ‘Baked With Love Bakeoff’ and now that Owen, my brand new oven, is in full effect, I had to get involved. 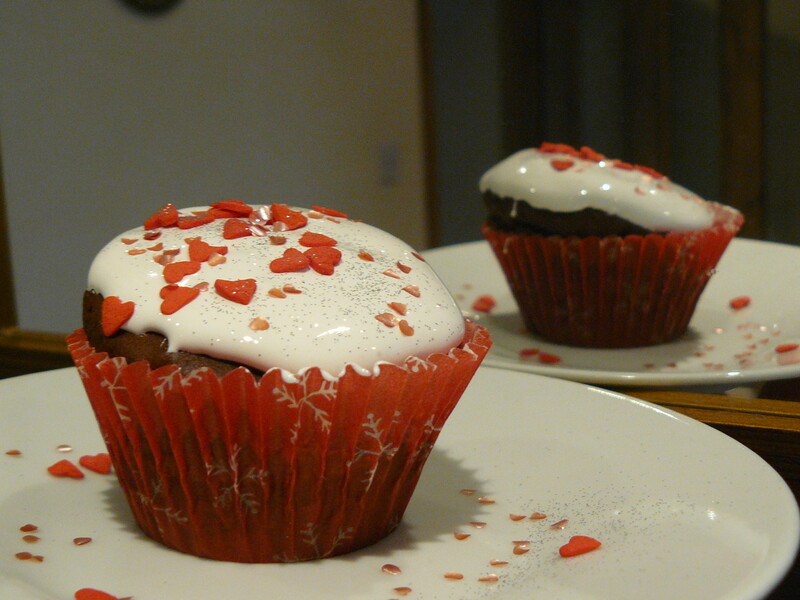 I like making Valentine’s day treats for my sweeties and wanted to do something new, so I tried Red Velvet Cupcakes. 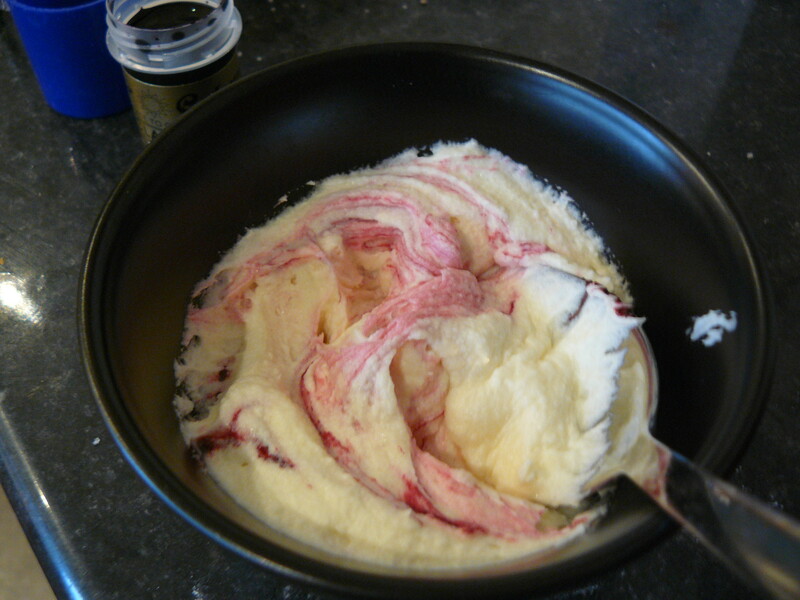 I have seen many recipes for Red Velvet Cake, all of which use quite a bit of red food colouring, but the one from Eric Lanlard’s Home Bake is one that does not. It’s an American style recipe which relies on the chemical reaction between baking soda and white wine vinegar to create the ‘red’ effect. 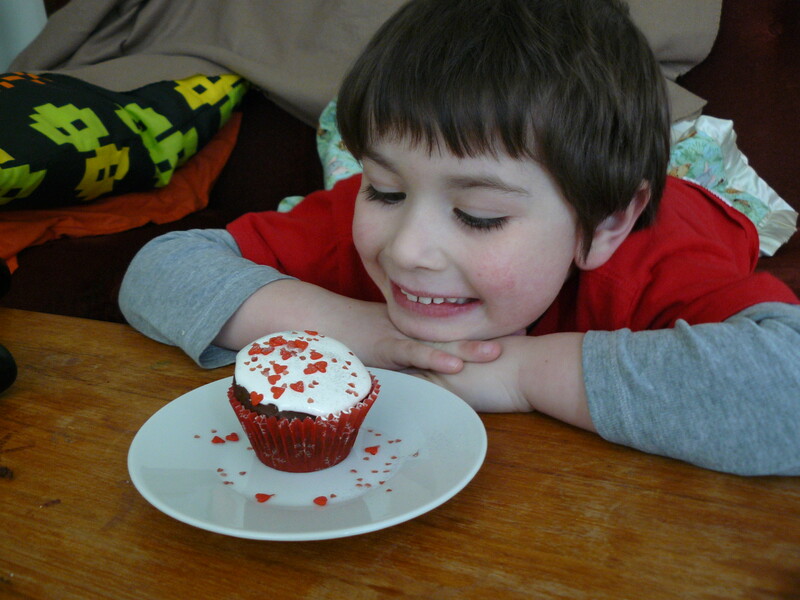 It was more like a science experiment than baking, but that was part of the fun. 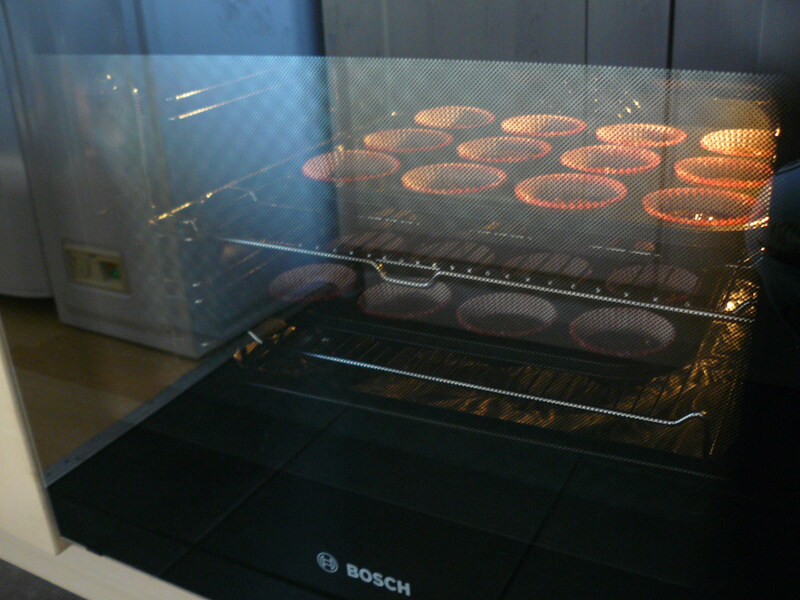 I filled each cupcake cup halfway and popped them in the new oven. (Affectionately named Owen thanks to the suggestion of Leah and Phil). 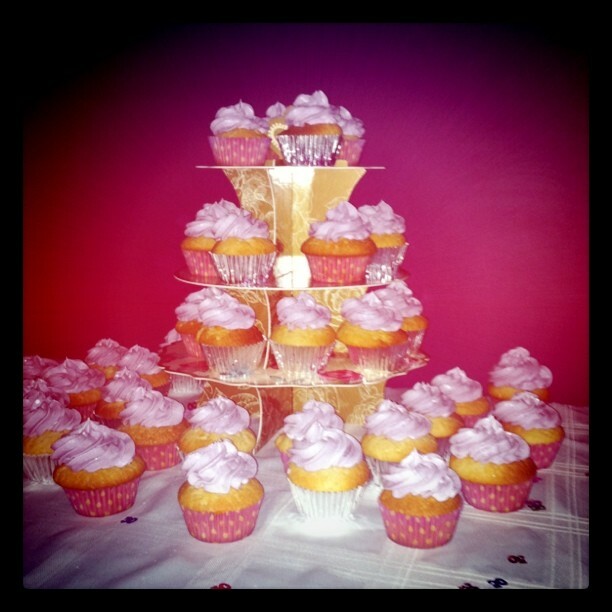 Et voila… Cupcakes! They didn’t come out as red as I anticipated, but they taste amazing and are actually really velvety in texture. As these cakes are celebrating Valentine’s Day, I decorated them with marshmallow topping (mini G’s favourite) and heart shaped sprinkles. 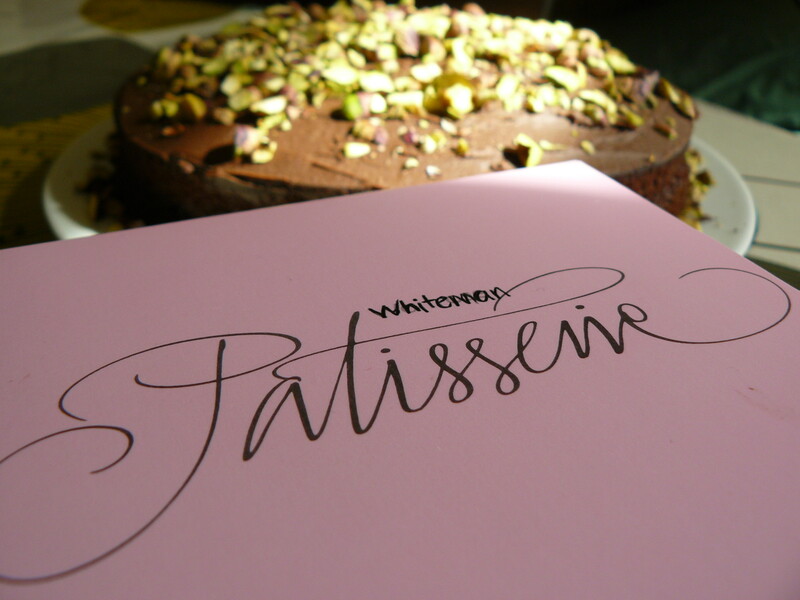 Let them eat cake… birthday cake! Today is a very special day, it’s my dad’s birthday. Not only is it his birthday, his favourite football team – the 49ers – are playing in the Conference Championships. I’m sad that I can’t be there to celebrate his birthday (and the game), so here’s to you, Dad… Happy Birthday! Oh, and go ‘Niners! 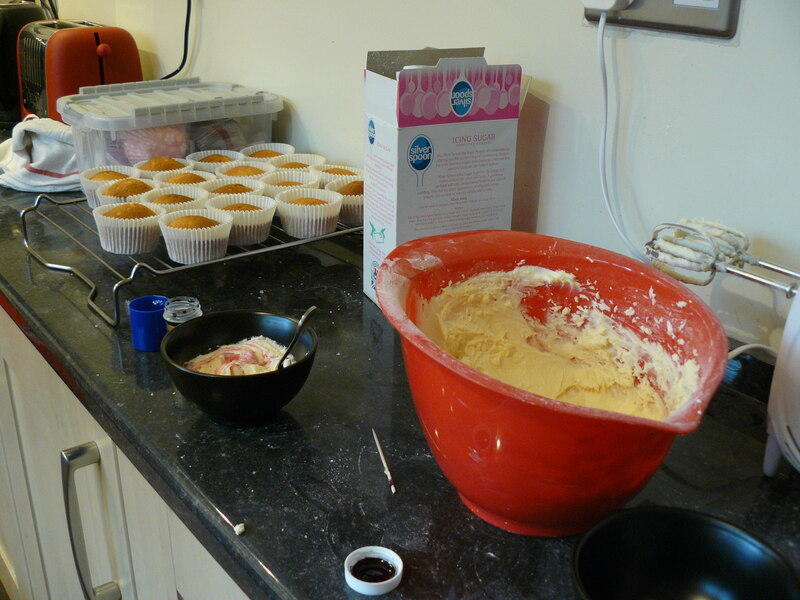 January has been a very busy month for birthdays and I’ve been busy baking cakes. 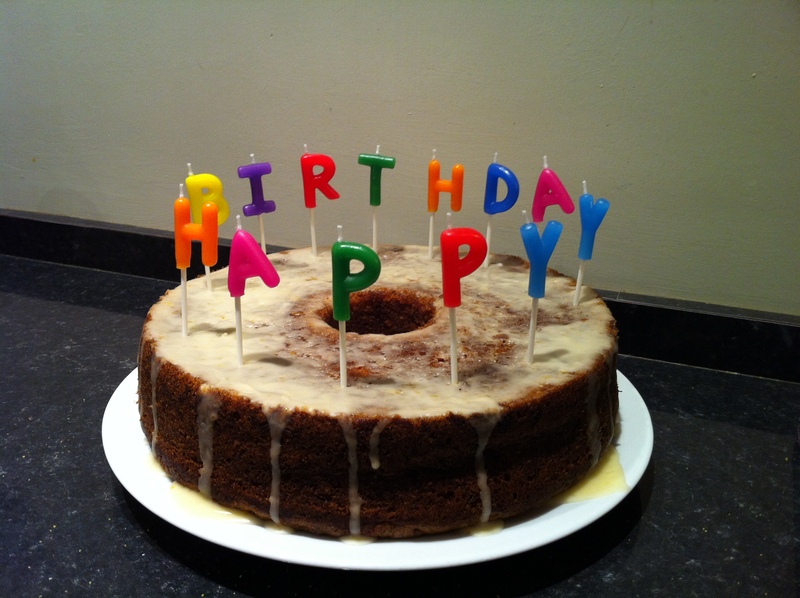 I kicked off the month with my husband’s birthday back on the 8th. Mini G decided Martin should have carrot cake and since I just got the Primrose Baking Book, G and I tested their recipe. I left out the raisins and most of the cinnamon as Mini G is not a fan, but even without these, the cake was fabulous. It would be even better with raisins and the proper amount of cinnamon. 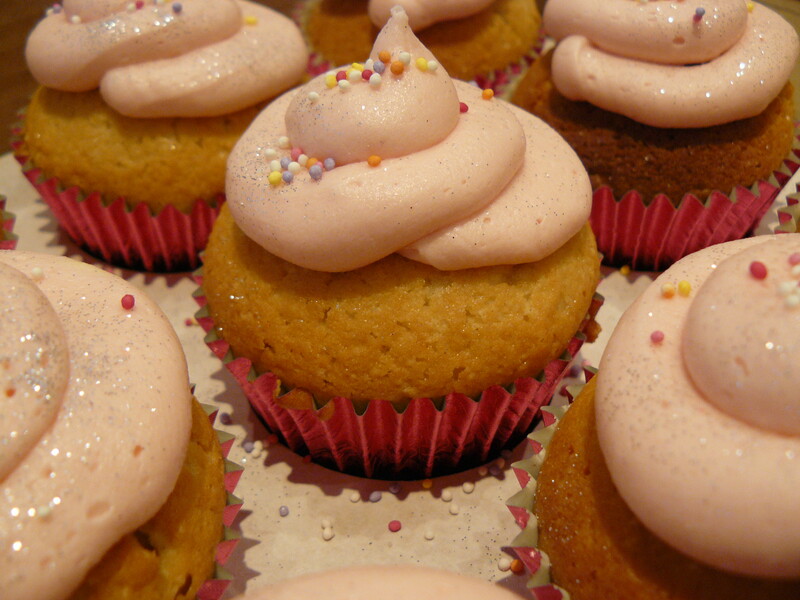 I also topped it with an orange icing rather than cream cheese frosting, which made a very nice substitute. A few days later, we celebrated Martin’s dad’s birthday. 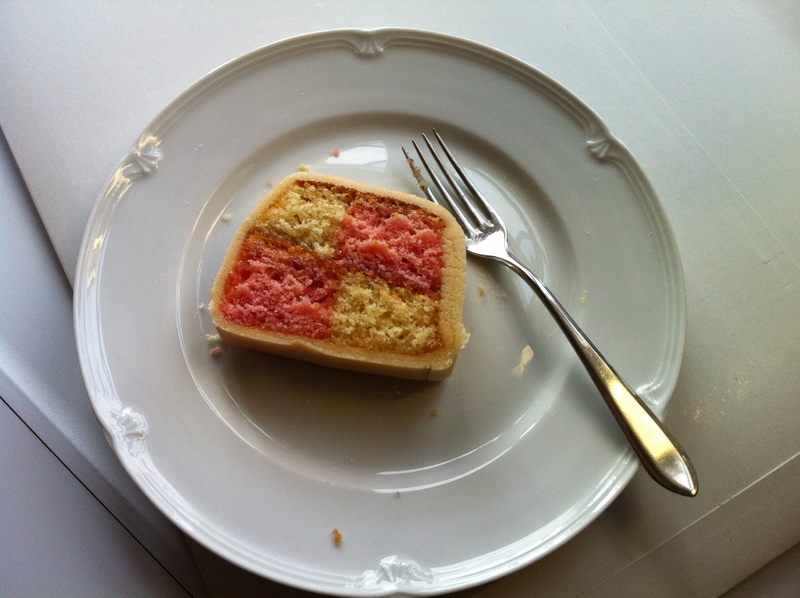 He’s a classic sort of guy, so I wanted to make a classic british cake. 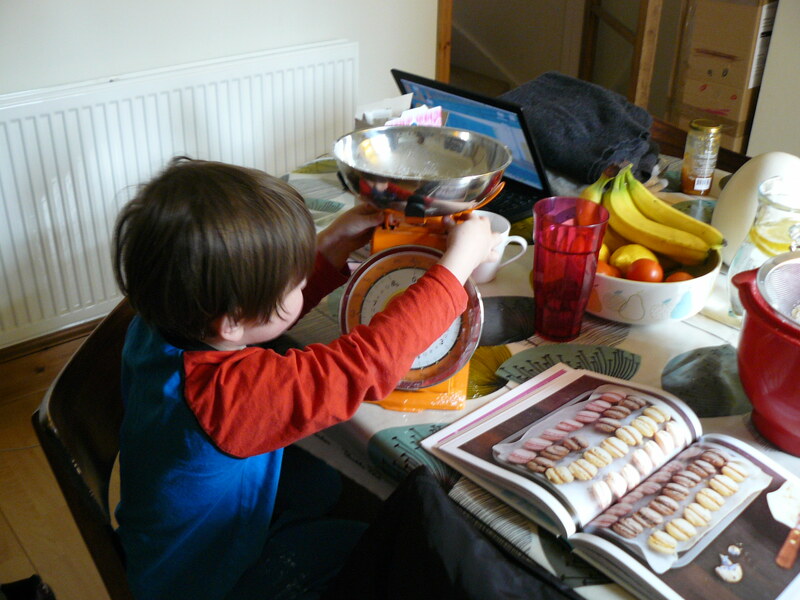 I wanted a challenge, so I went for the Battenburg and looked to my trusty Leith’s Baking Bible for guidance. 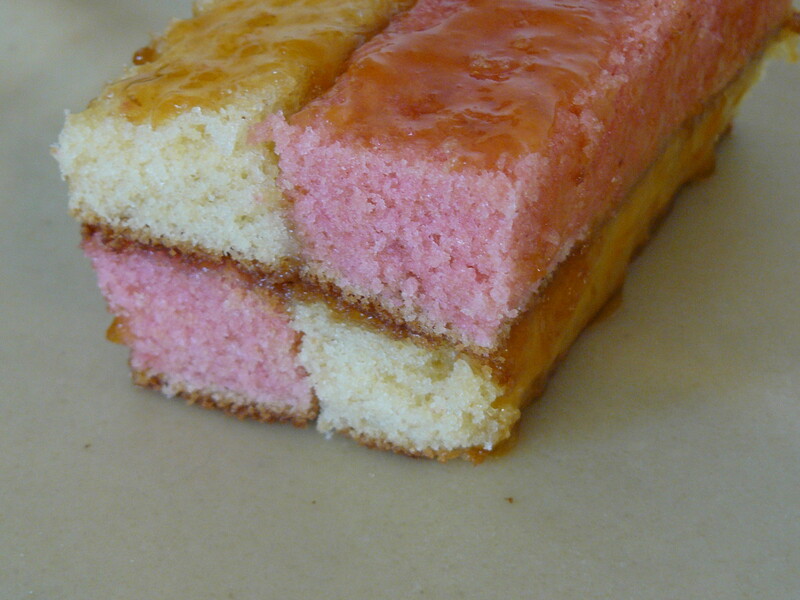 The sponge itself is very simple to make. 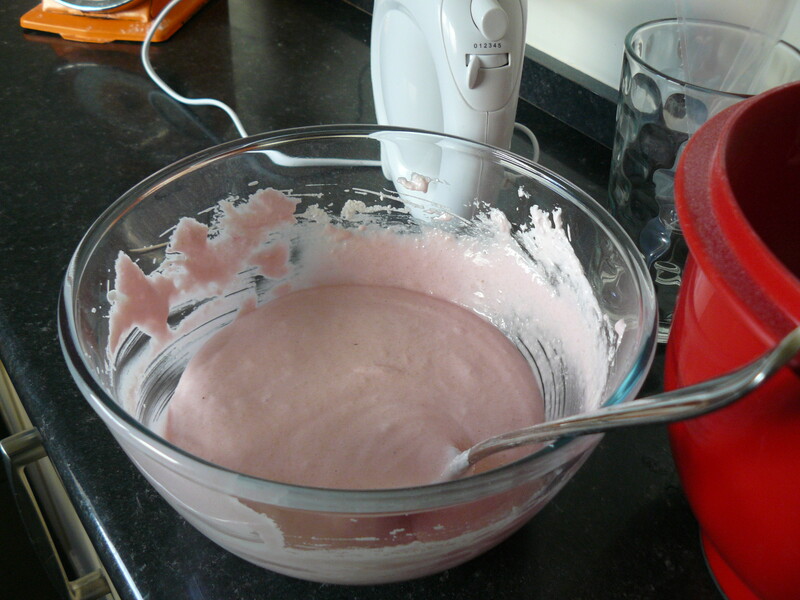 I split the batter in half and used Sugarflair ‘Claret’ paste to create the pink colour for the sponge. 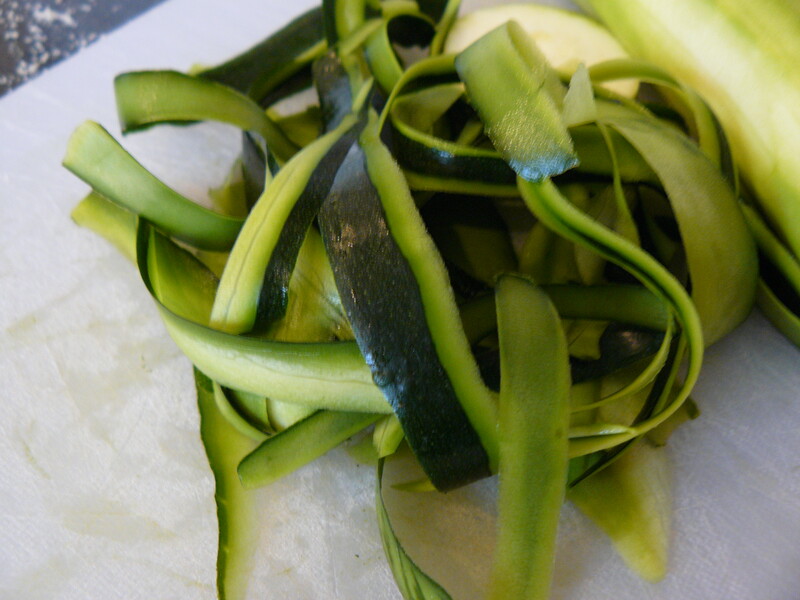 Then came the difficult bit… making 4 equal square lengths. 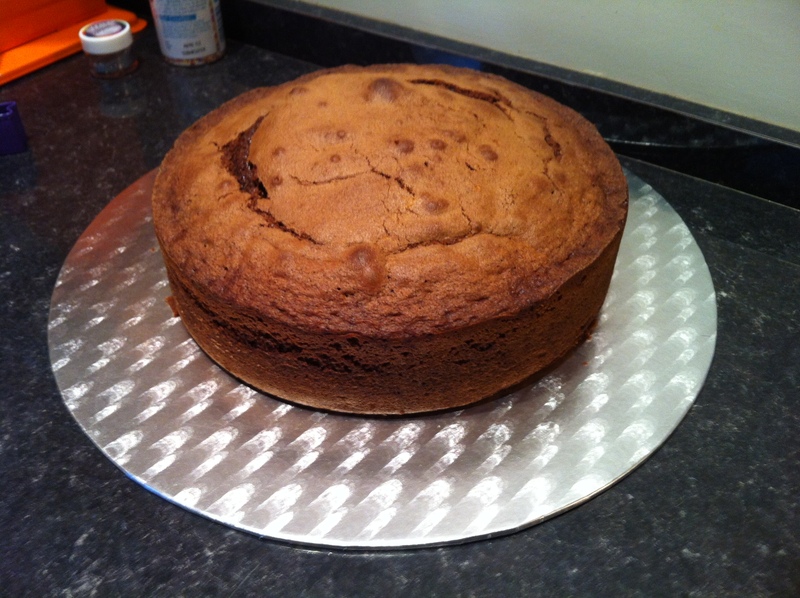 I managed to cut the cake as close to equal as possible and slathered in between each length with apricot jam. 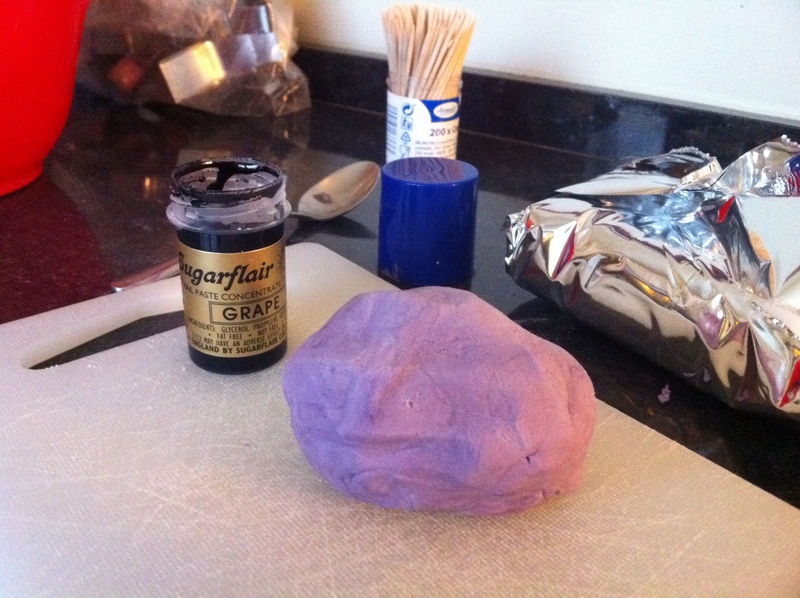 Next up, the marzipan outer layer. The key to this bit is to roll out the marzipan as thin as possible, but not too thin so it tears. I wrapped the cake as tightly as I could and voila! 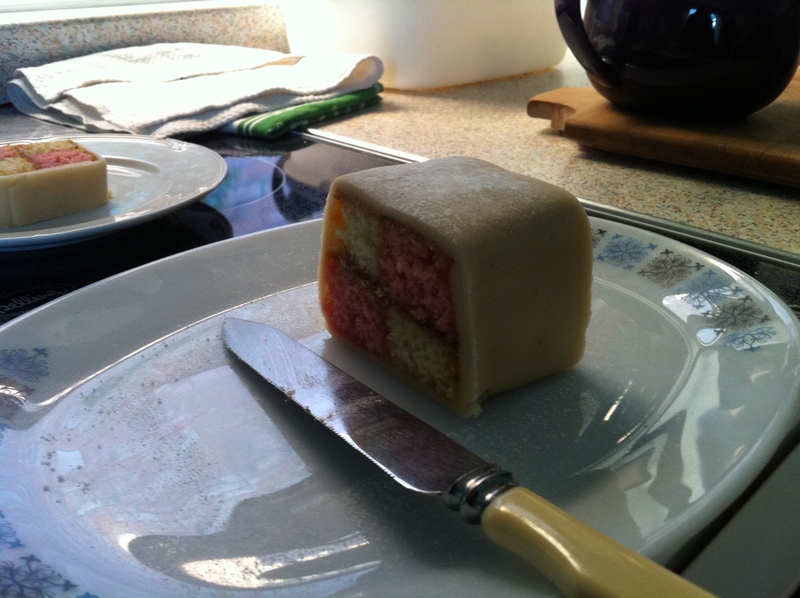 Battenburg cake! I’m glad I baked this, I’m glad it came out well, but I can’t see making it again anytime soon. A sassy little lady I know turned 10 yesterday. She loves chocolate and rabbits, so I created a cake with both. 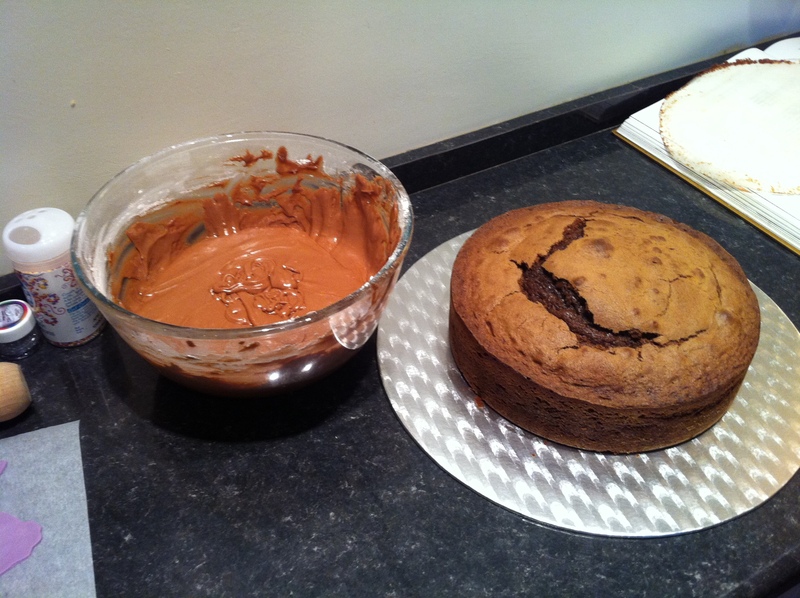 The chocolate sponge was from Eric Lanlard’s Home Bake (It really is a foolproof chocolate sponge for any occasion) and I used Nigella’s All Purpose Chocolate Icing from How to be a Domestic Goddess. 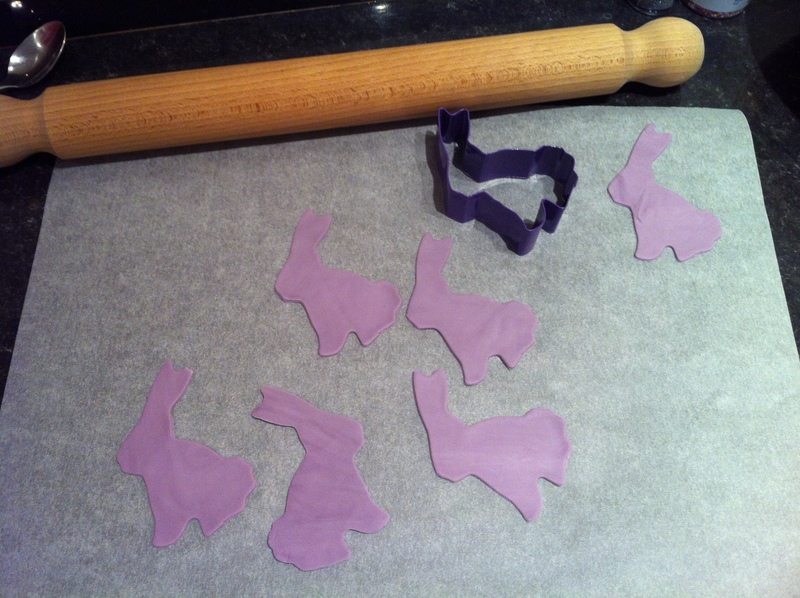 To create the purple rabbits, I used regular ready to roll white royal icing and kneaded in some ‘Violet’ Sugarflair colour paste. Then rolled it out on baking parchment and cut out the rabbit shapes with a cookie cutter. 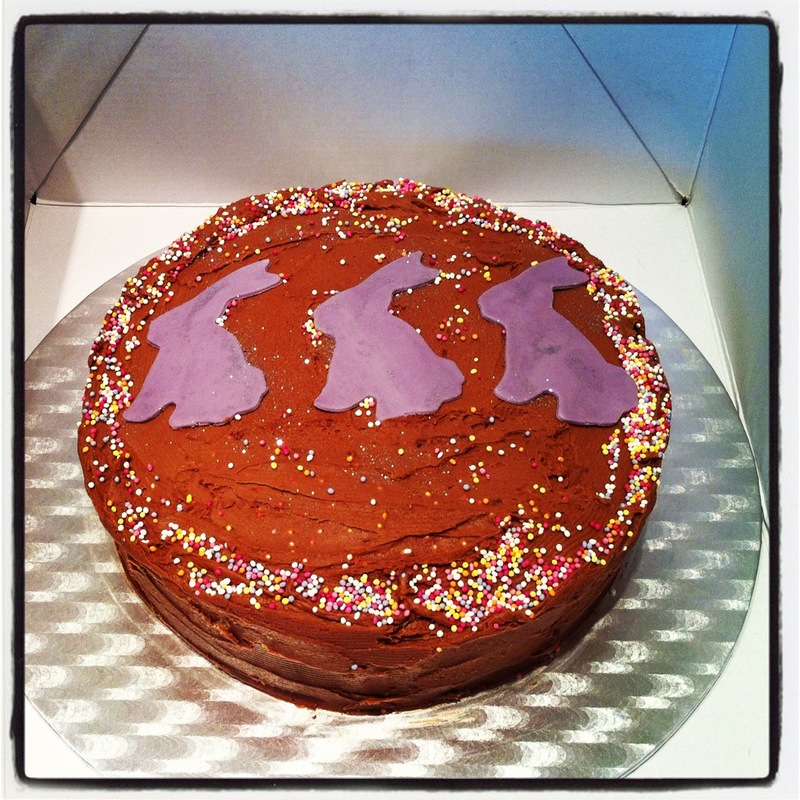 And here’s the finished cake… Happy Birthday, Biba! Mini G’s Poppy’s birthday was on the 20th and although I did not bake this cake, it needed to be featured. 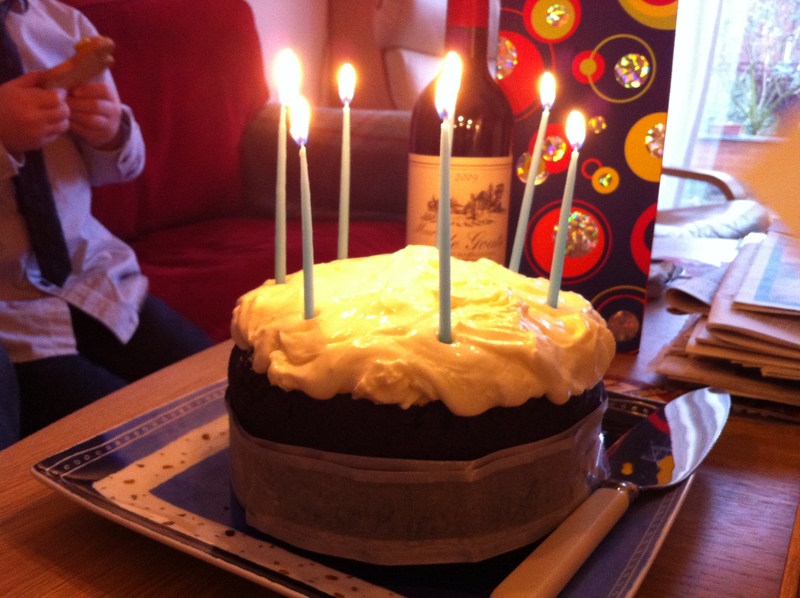 MIL made a chocolate Guinness cake from Nigella’s Feast book and it was divine. So much for my diet! Happy birthday to all of the Dad’s and to new friends! Let them eat cake! Punch Communications celebrated its 8th birthday this month. 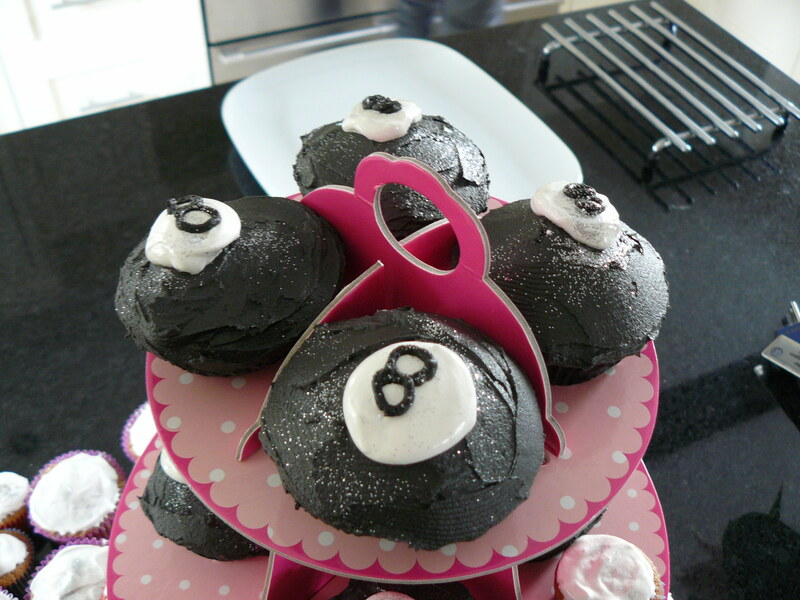 In honour of the occasion, I made 18 cupcakes (one for each member of the Punch team) in the theme of the number 8 and what better way than the 8 ball? This one was definitely a challenge. What was I thinking? 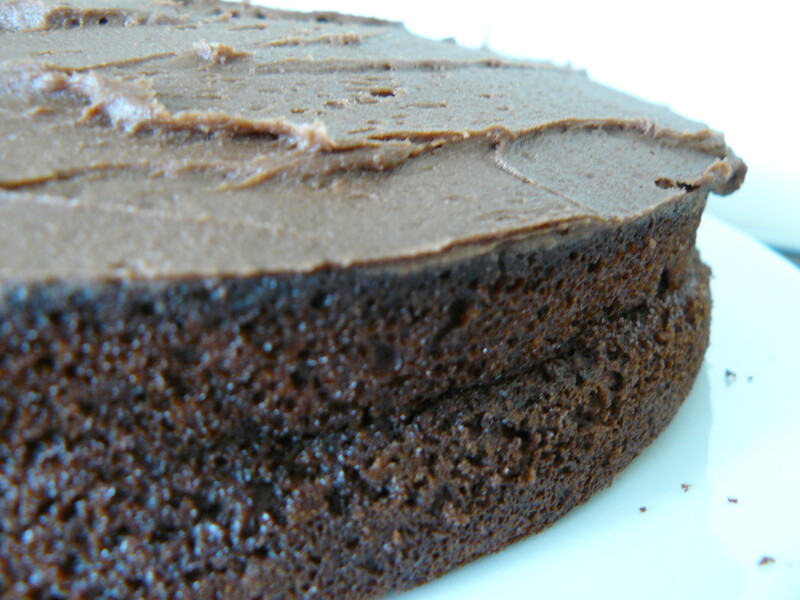 Black frosting! I’ve heard it was a difficult one to achieve, but I thought with Black Extra colour i’d be ok. I nearly wasn’t ok. I’m glad I did a test batch before attempting the real thing. My first attempt came out a washed out grey. 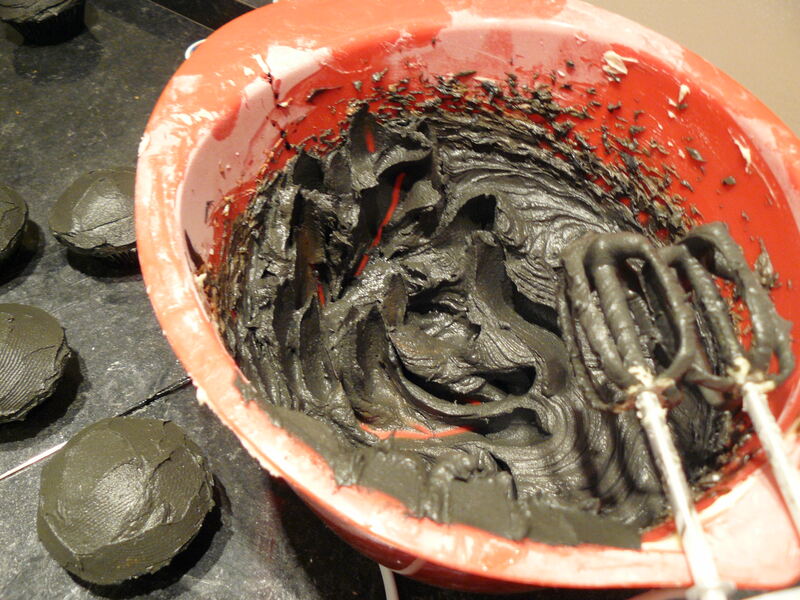 Then I read up on black frosting and learned that you shouldn’t start from white. Start from a dark colour, like brown/chocolate. Or if you are making vanilla, add your darkest colours first – blues, purples, greens… whatever… this minimises the chances of it going completely grey. With this in mind, I started with my standard vanilla cupcake in black cases. 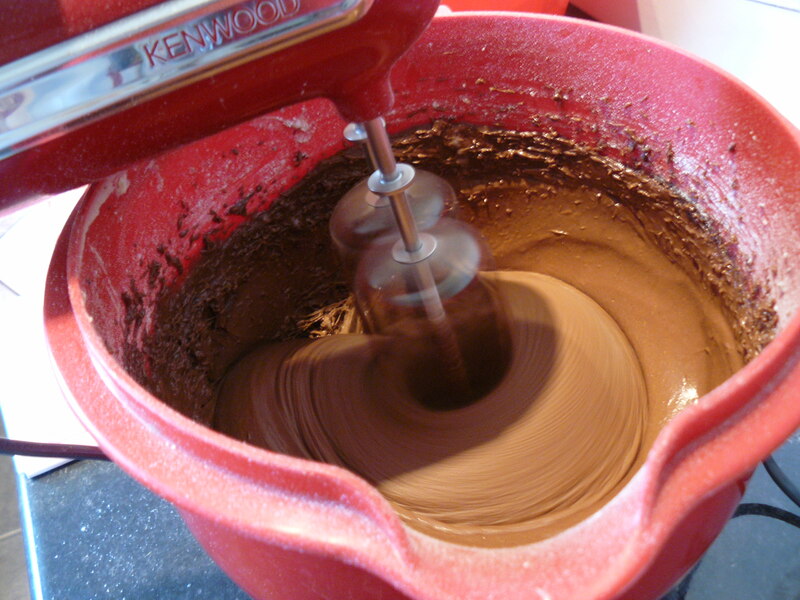 I then made a chocolate buttercream as a base for the frosting. 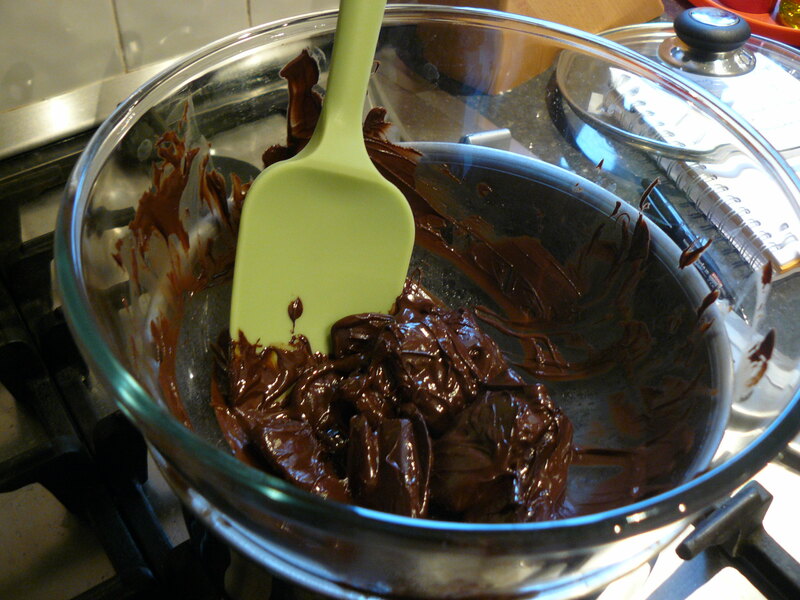 I added a small dollop of purple Sugarflair paste to the chocolate frosting mixture and few medium sized dollops of black extra. The colour ended up a gunmetal grey, which worried me a bit. 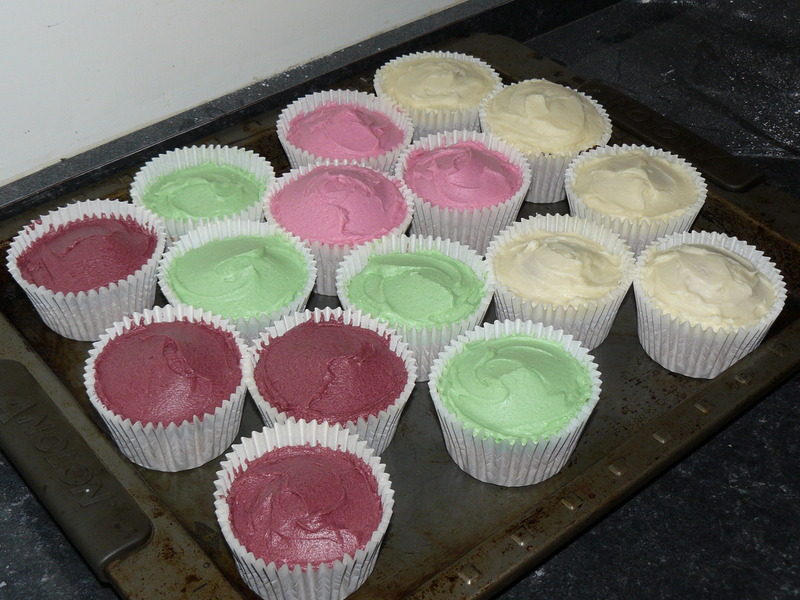 But then I remembered the advice from the baking guru at the local Cookshop, the Sugarflair colours go darker over time. Thankfully, they did! 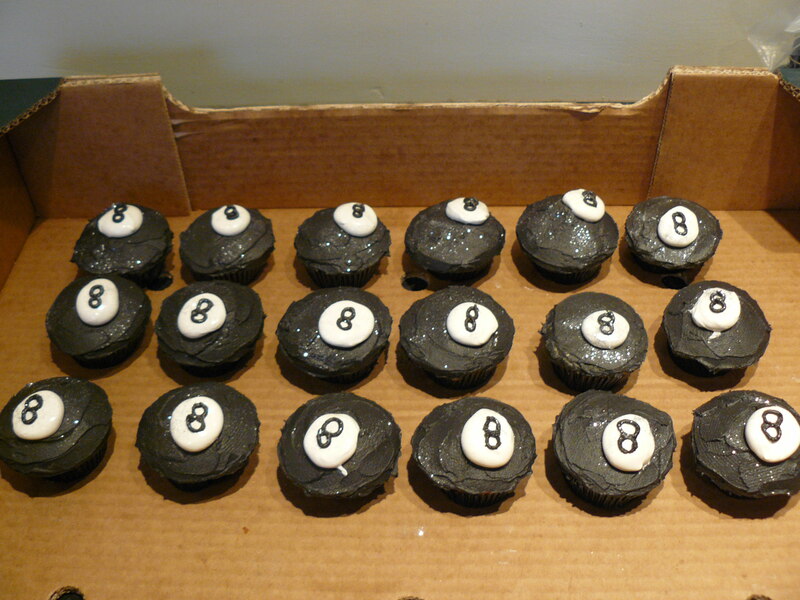 After frosting the cakes with the black base, I added a marshmallow circle and then drew an “8” on each cake. And voila! 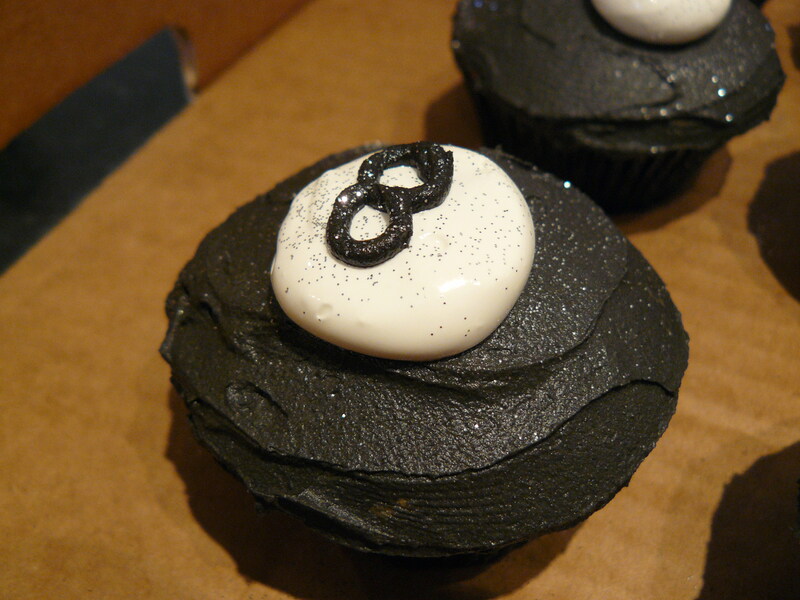 An 8 Ball cupcake. 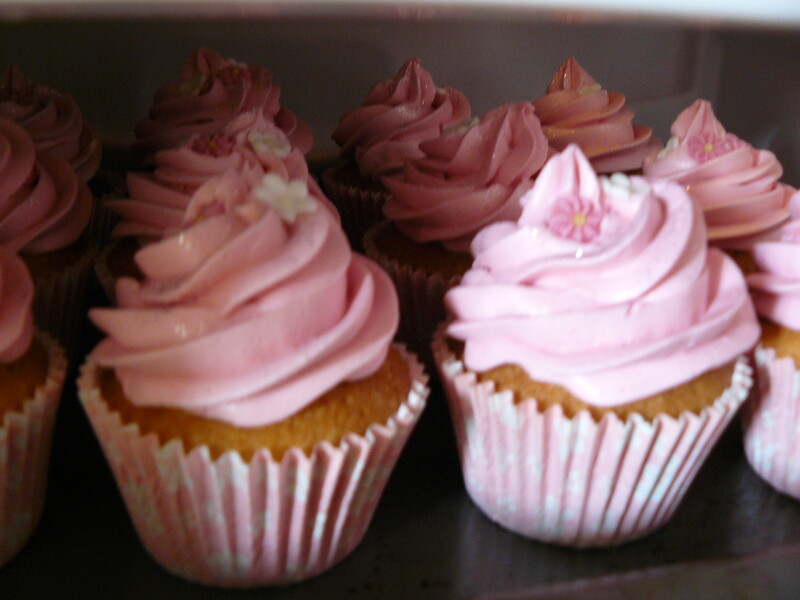 I love baking, especially cupcakes, and from that I’ve developed a ‘side business’ from my colleagues at work. This one was for my colleague’s sister’s hen do. I thought it would be a great idea to make cocktail style cupcakes so I asked the bride to be what her favourite cocktail was… it was the mojito. I don’t drink spirits/liquor/whatever you want to call it, really, so I’ve never had a mojito before. 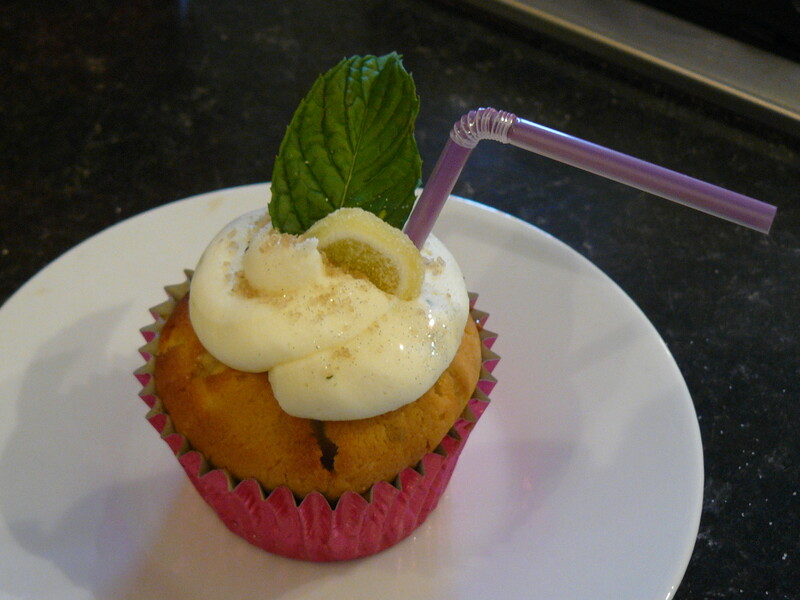 I love the idea of this cuban cocktail and may have to try one in the near future, especially after making these cupcakes. Not to be forgotten or overlooked, I mixed up the cocktail cupcakes with traditional vanilla ones that have become a standard in my repertoire. Preheat the oven to 180°C (fan 150) 350°F, gas mark 4. 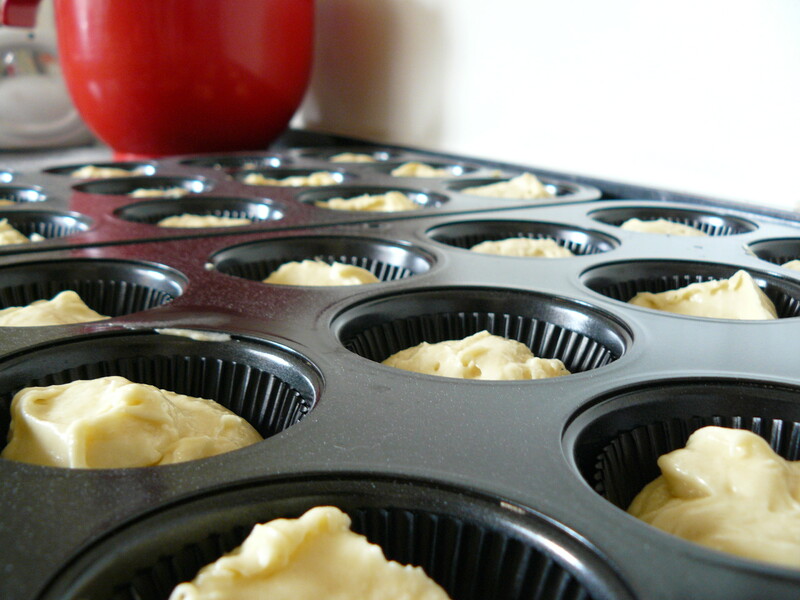 Line a 12 cup muffin tin with cupcake papers. 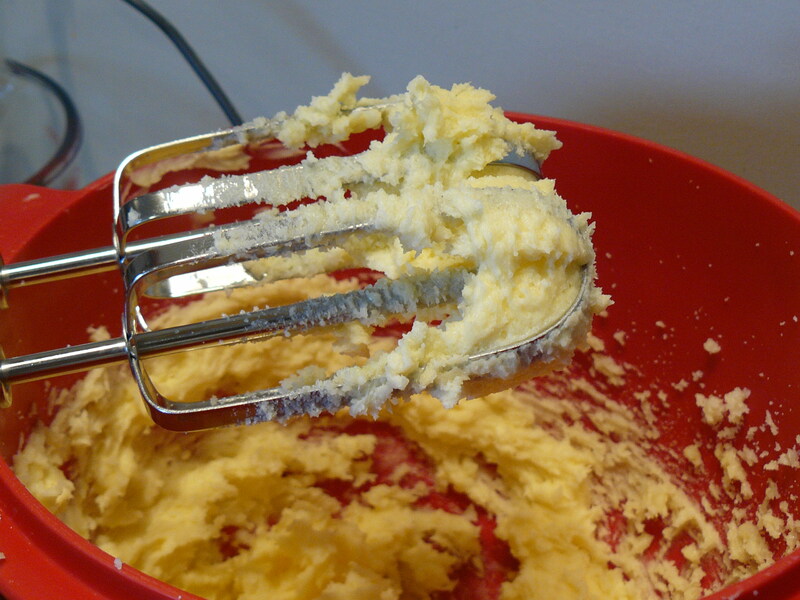 In a small bowl, using an electric handwhisk at medium speed, cream the butter until smooth. 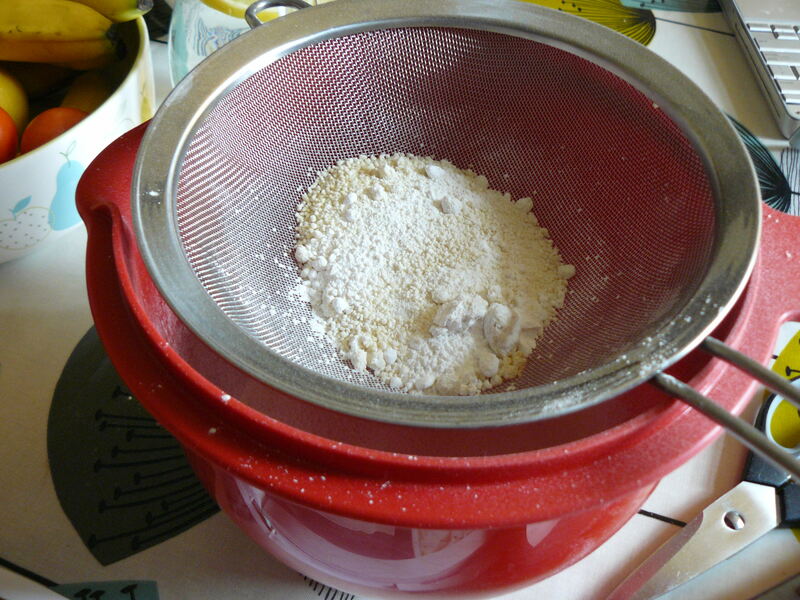 Add the sugar gradually and continue beating until fluffy, about 3 minutes. 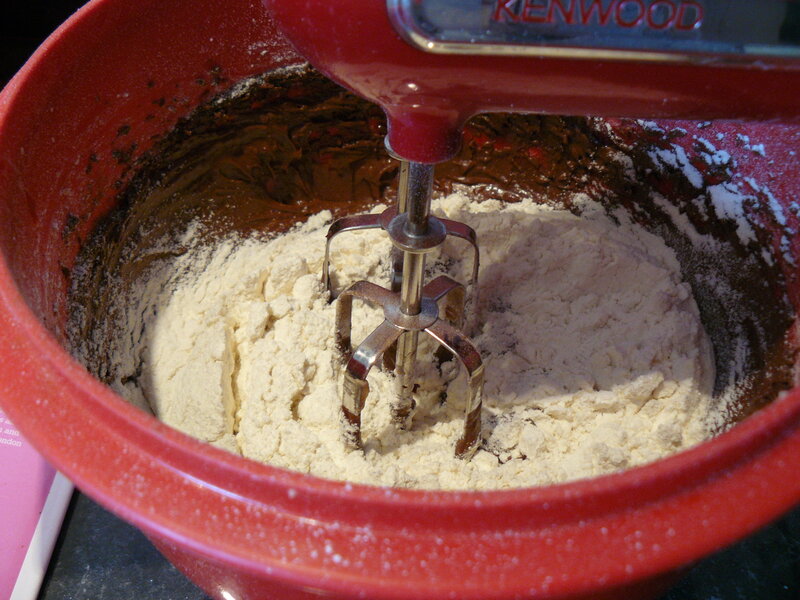 Add the flour in three stages, alternating with the milk and vanilla. With each addition, beat until the ingredients are incorporated but do not over beat. 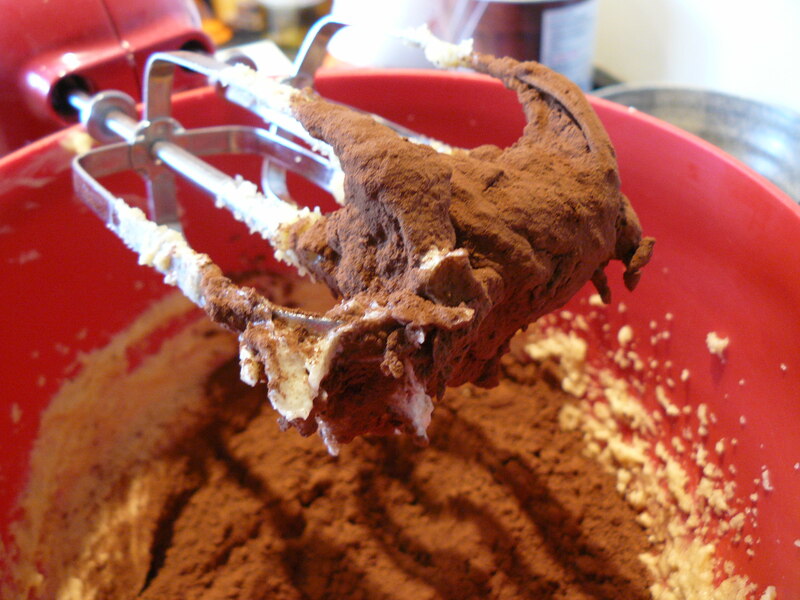 Using a rubber spatula, scrape down the batter in the bowl to make sure the ingredients are well blended. 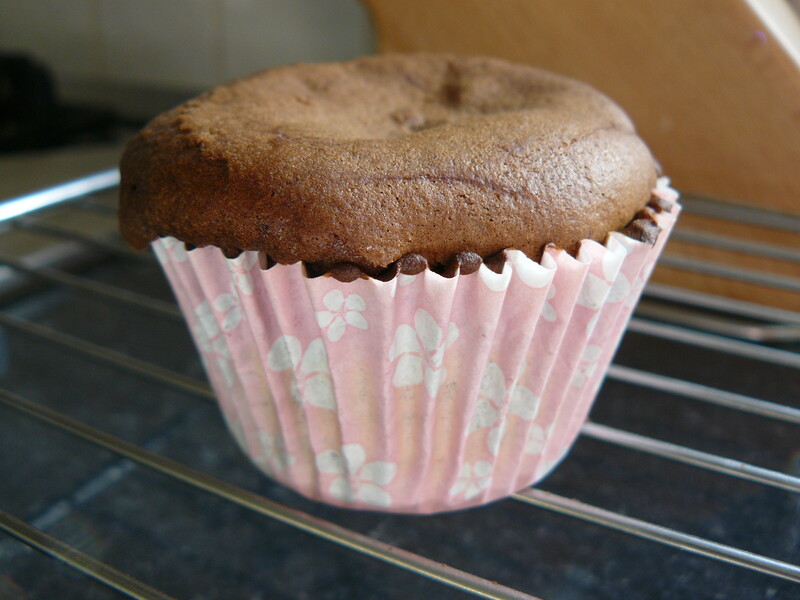 Carefully spoon the batter into the cupcake papers, filling them about three quarters full. Bake in the pre heated oven for 22 minutes. 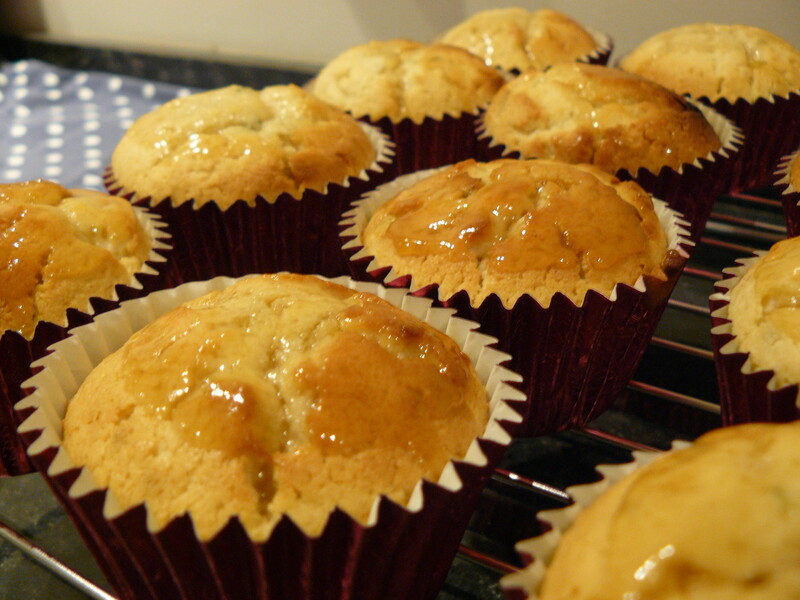 Cool the cupcakes in the tins for 15 minutes. 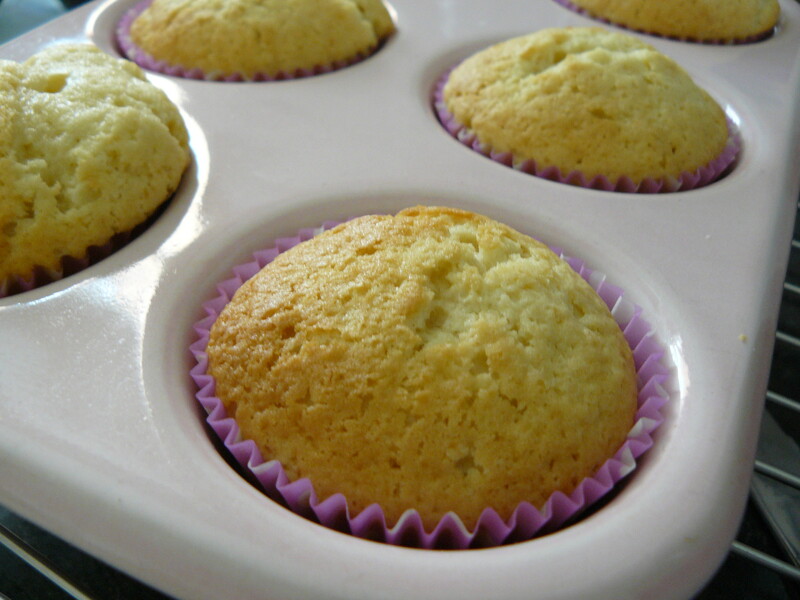 Remove from the tins and cool completely on a wire rack before frosting. 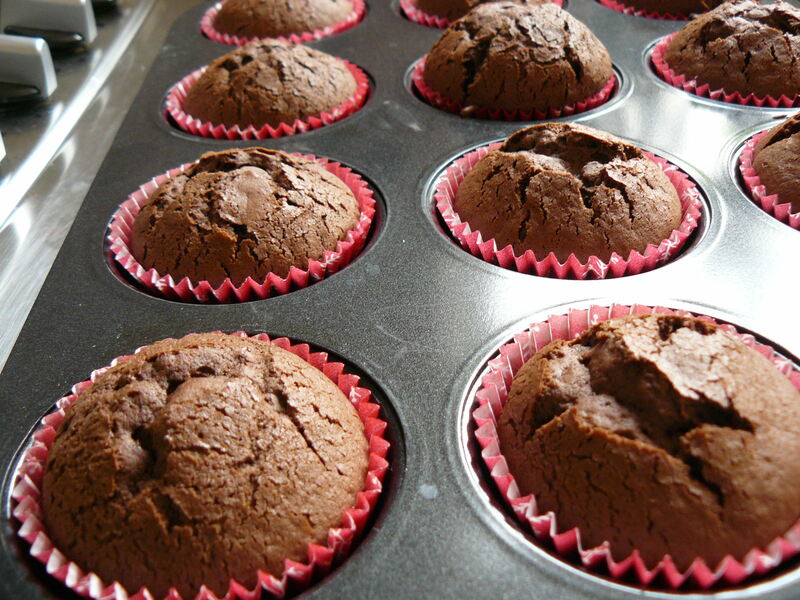 Cool the cupcakes in the tins for 15 minutes. 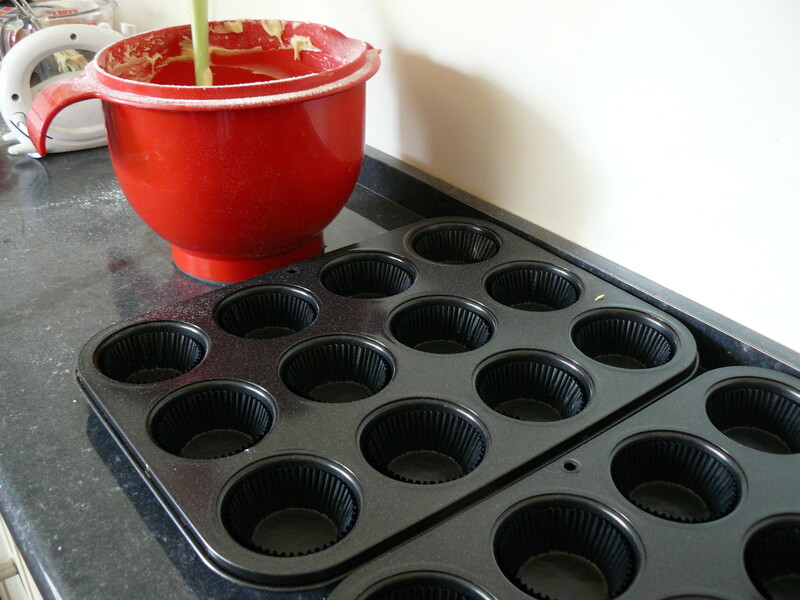 Remove from the tins and cool completely on a wire rack before frosting. 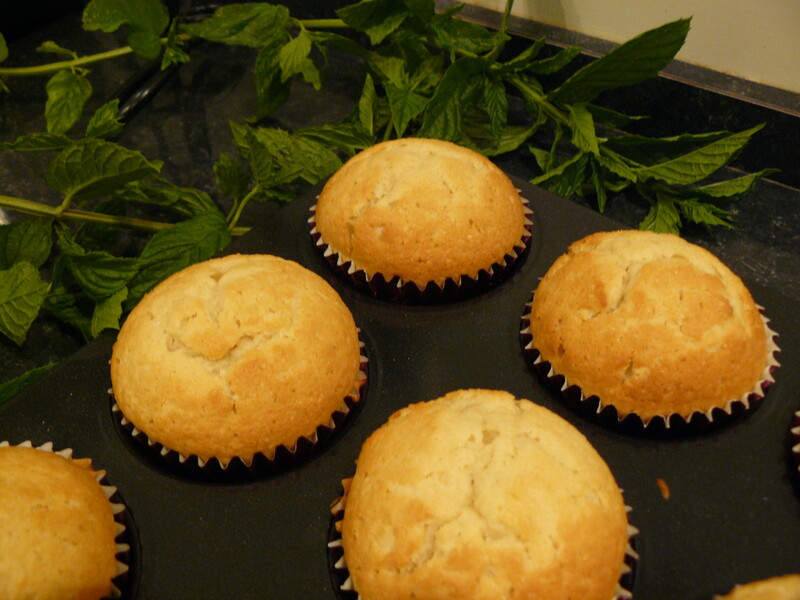 While they are cooling, poke holes in the tops for the next stage of adding the rum syrup. 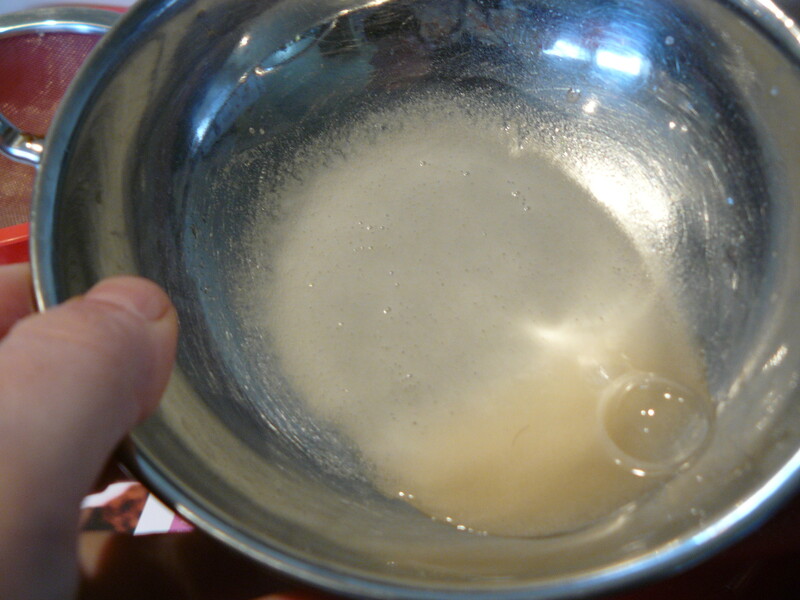 Melt the butter over a low heat, then add the water, caster sugar and rum. 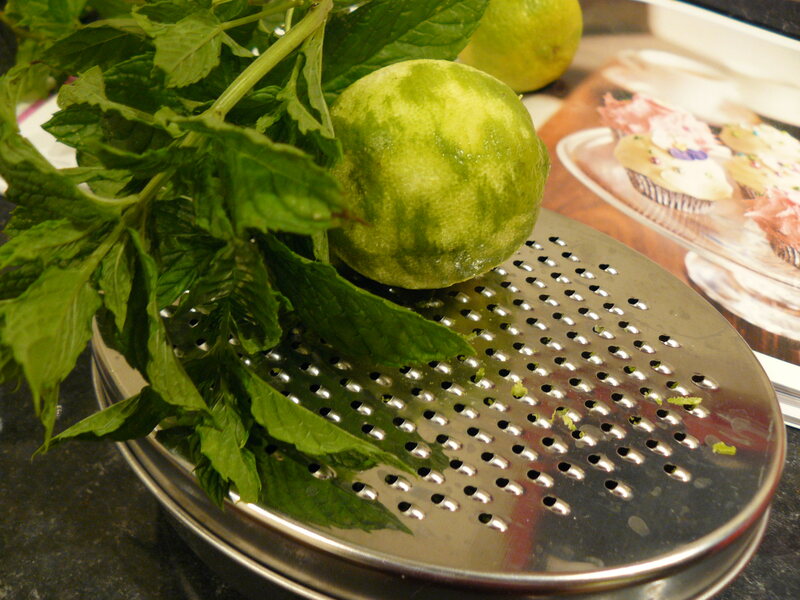 Stir over heat until sugar has dissolved, then add the mint leaves to infuse. Let sit for 5 minutes. As there was a pregnant bridesmaid in the party, I didn’t want them to have to worry about consuming alcohol. 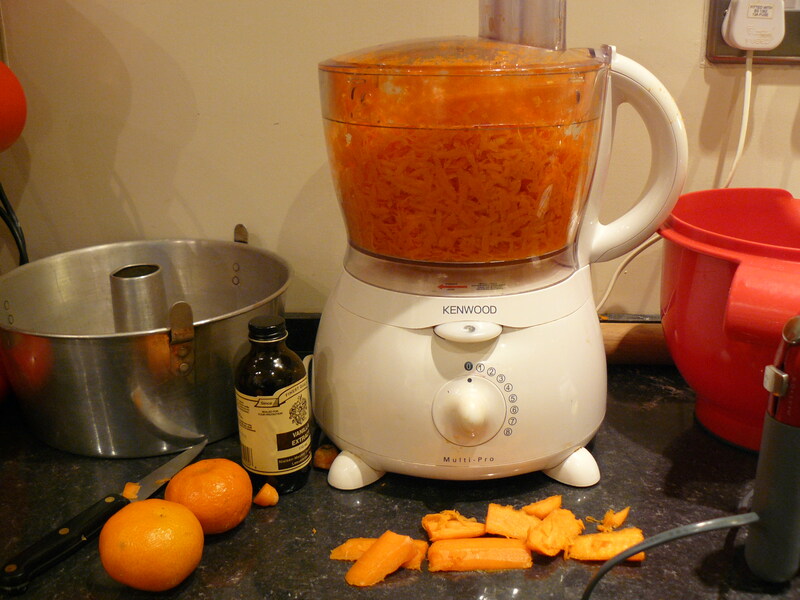 I burned off the alcohol from the rum, leaving only the flavour, creating a rum syrup. 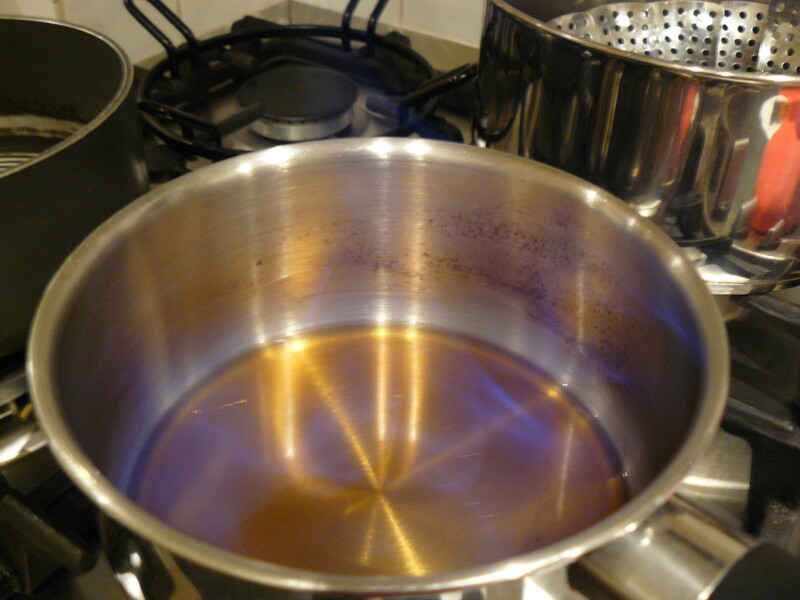 I never knew rum burned for such a long time, I’ll have to keep that in mind for future flambe dishes! 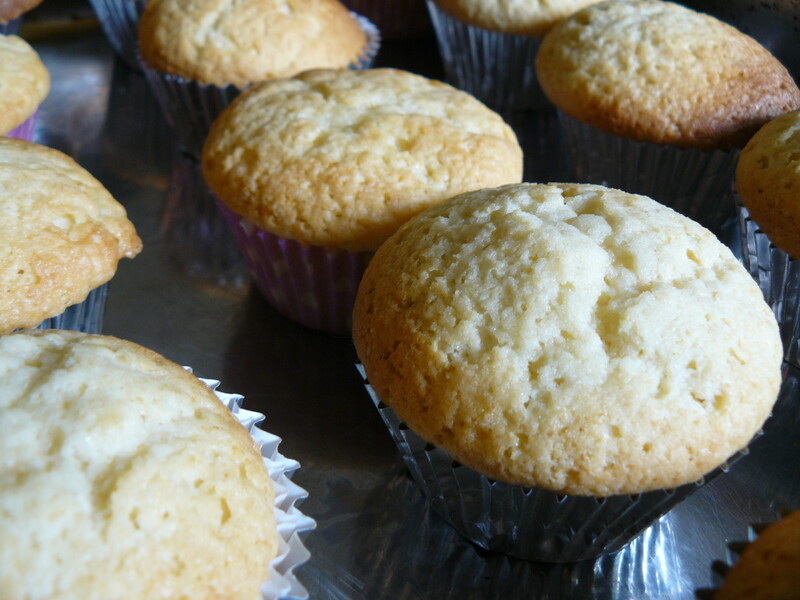 Once the holes are poked in the tops of the cupcakes, dip them in the rum syrup and leave to cool completely before topping with frosting. Cream the butter, half of the icing sugar, milk and vanilla extract until combined, then add the rest of the icing sugar. Add colouring paste, if desired. 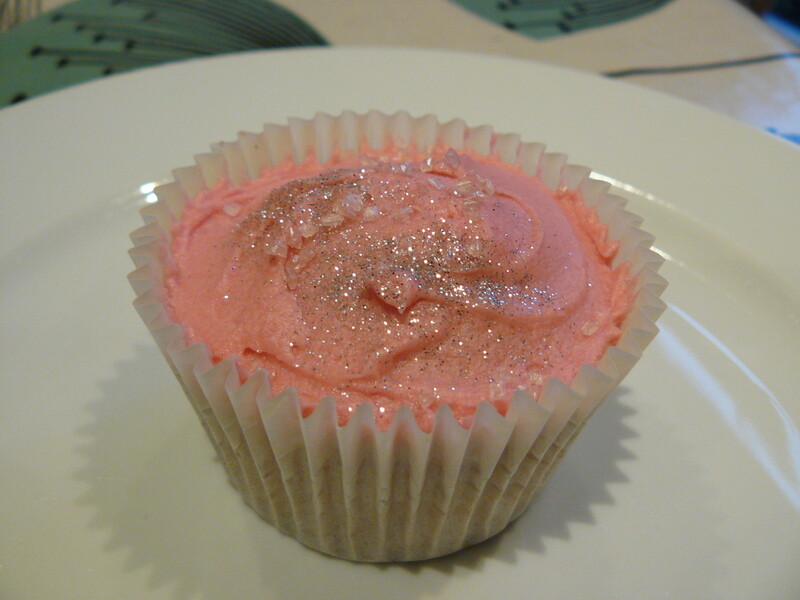 I used a very small amount of Sugarflair’s Claret to create the pink in the photo below. Same as above, but I substituted lime juice, zest, rum syrup and mint leaves for the milk and vanilla extract. 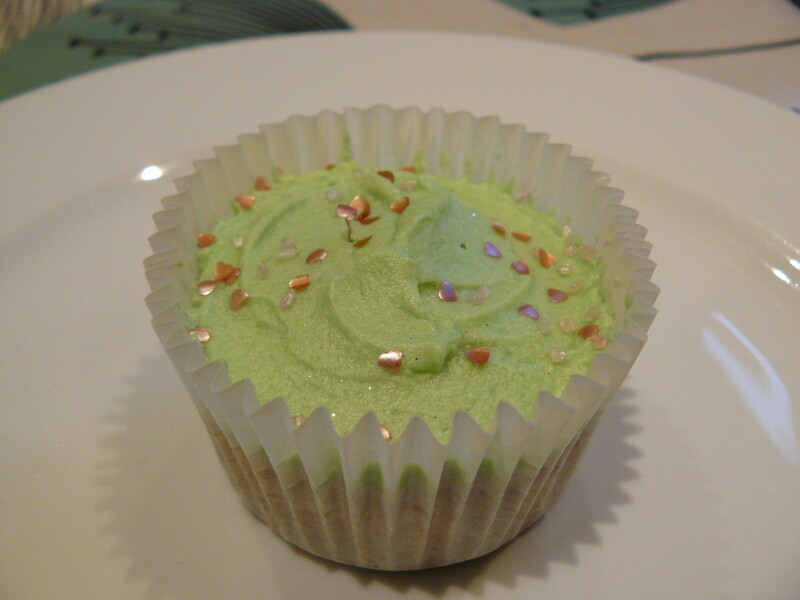 Some recipes I have seen suggest green colouring, but I think it looks better just topped with some demerara sugar, a lime (or lemon ) wedge, mint leaf and a straw – just like a mojito cocktail. 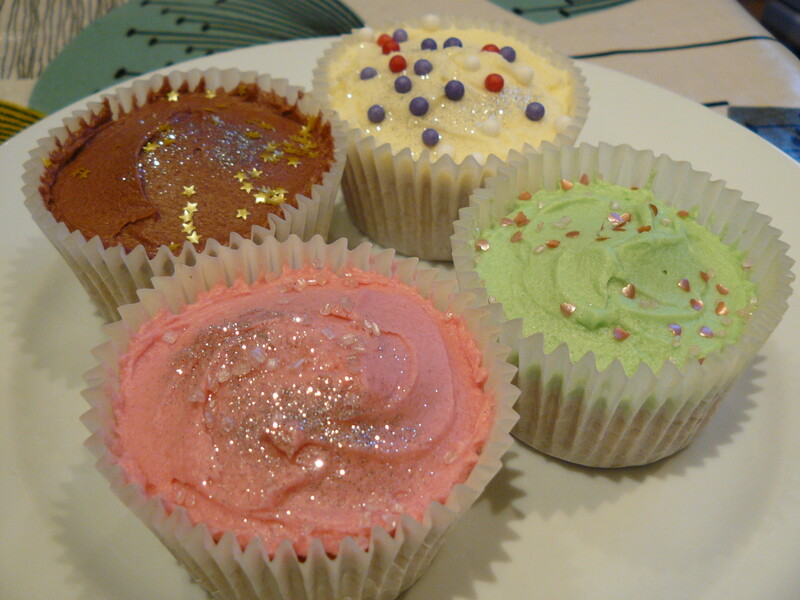 These cupcakes were really fun to make and I think came out really well. I hope the hen do was a success, too! George celebrated her 30th birthday on Tuesday and to mark the occasion, she threw a huge party and no birthday party is complete unless there are cupcakes involved. 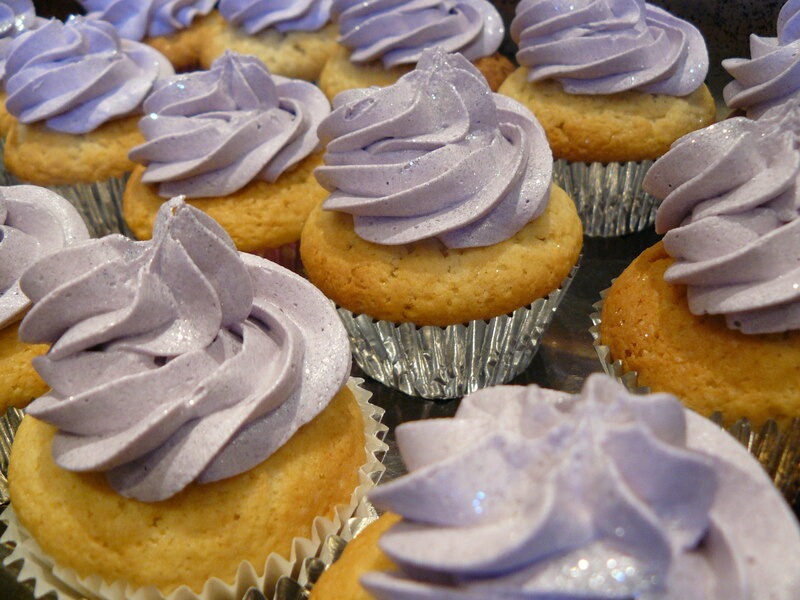 The room was decorated in purple and silver, so I created vanilla cupcakes with purple frosting in purple and silver cases. And thankfully, the cakes were a hit with the guests, too! Happy birthday, George! 30 is a great year. I was asked by a work colleague to create some cupcakes for her sister in law’s baby shower. 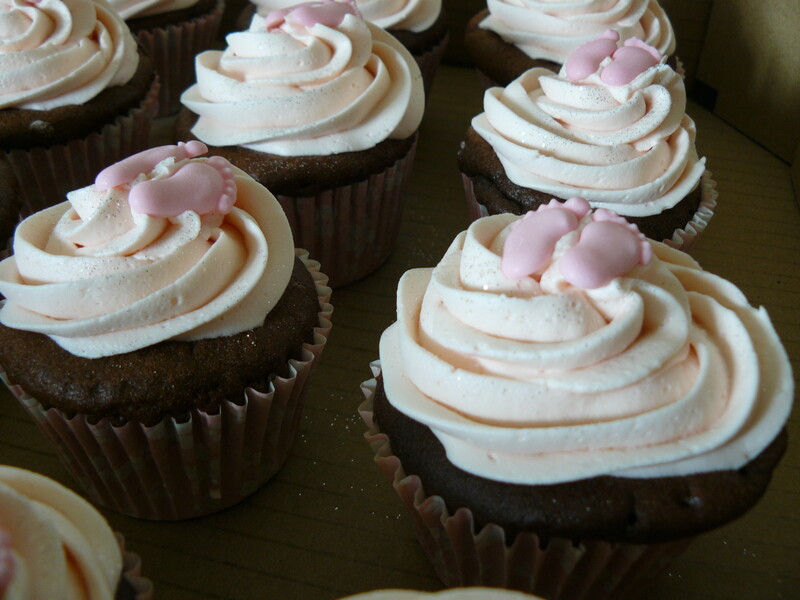 The guest of honor knew she was having a girl, so pink was the theme for these delicious treats. I made half of the order chocolate and the other half vanilla, both topped with vanilla frosting in different shades of pink. Thanks to the colour testing, I knew that the “Claret” shade would help create just the right tones. The tiny feet made these just that bit more special. I couldn’t resist. It’s now nearing the end of May and I haven’t posted since the end of March. Where has the time gone… seriously?!? 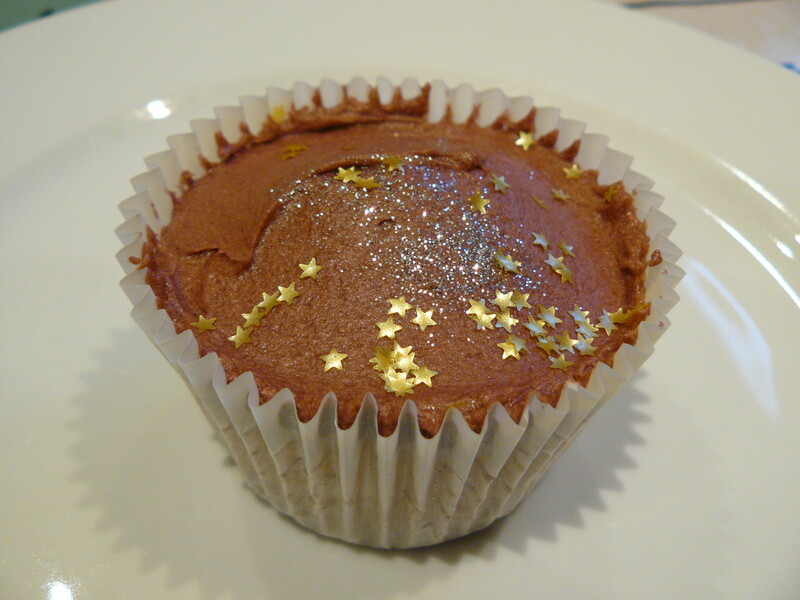 Although there haven’t been updates to Cupcakesandotherstuff since 29 March, it’s not because I haven’t been baking. On the contrary, I have been a busy little bee. This is a post to begin catching us up to the present. 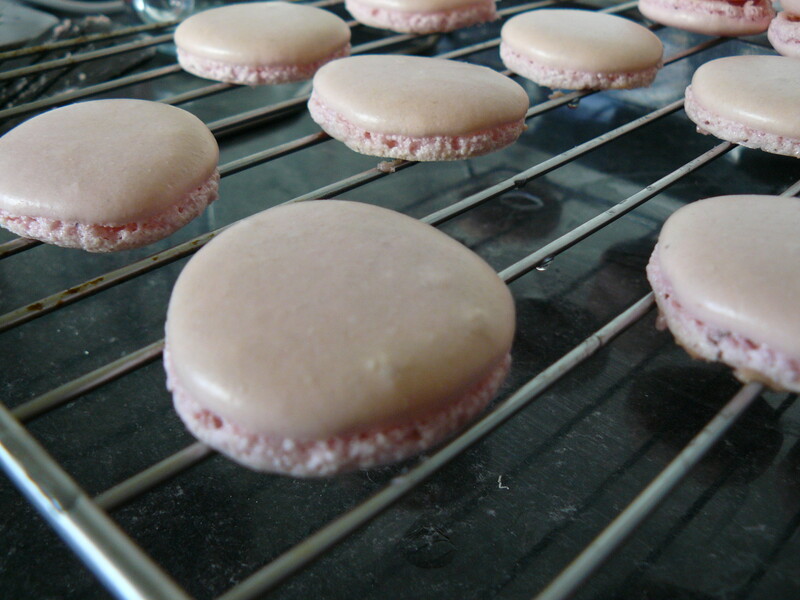 For Mother’s Day this year I decided to push my boundaries and try my hand at macaroons. I had this grand idea of putting a (large) selection of colourful macaroons in a jar as you would see in the windows of Laduree. 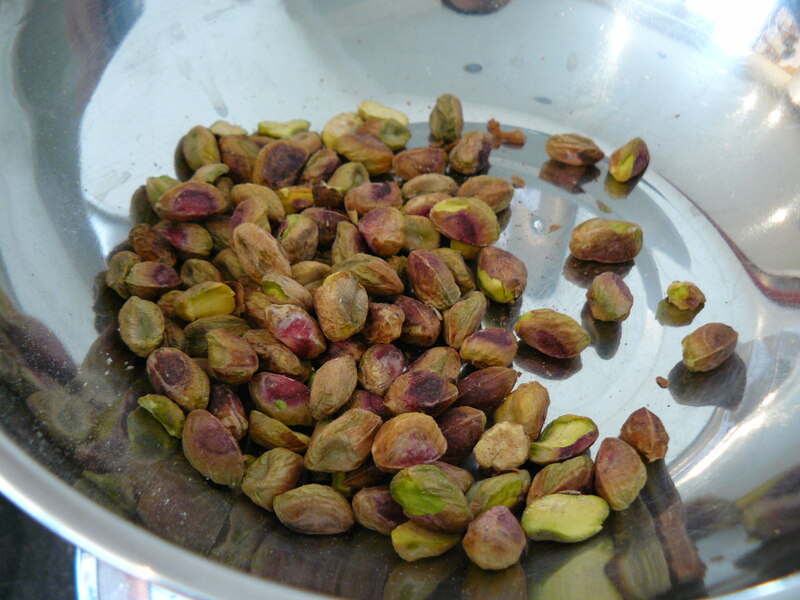 I was going to make pistachio flavoured green ones, almond flavoured pink ones and lemon flavoured yellow ones. 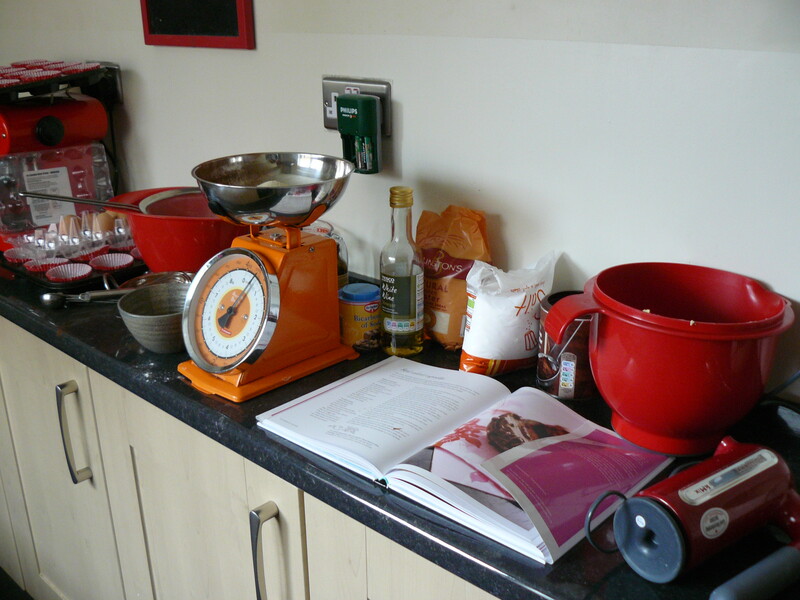 Having been tethered to Eric Lanlard’s Home Bake for the past few months, I thought- He makes it looks so easy! I can do this. And yes, I could do it, but it wasn’t as easy as I thought it would be. 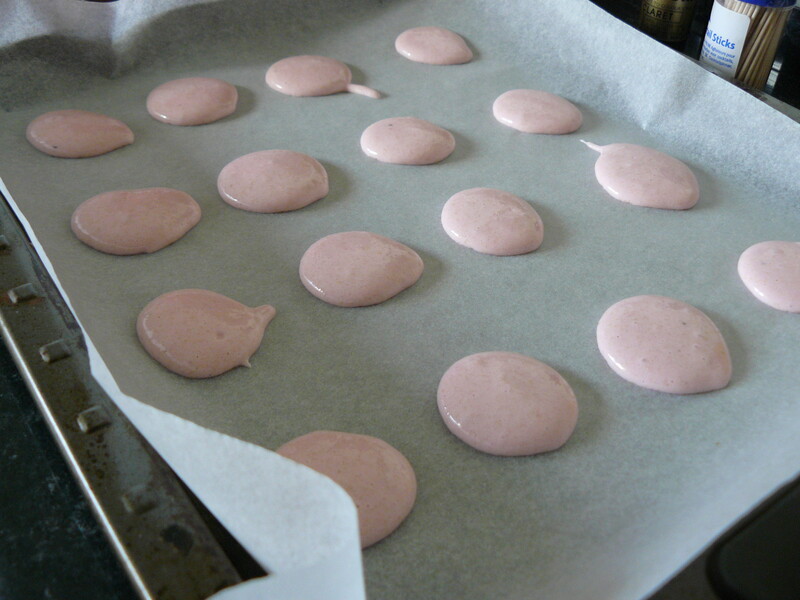 I followed the recipe to a T with my trusty helper and managed to get 6 complete pink macaroons to give as a fancy Mother’s Day gift. The rest went in the bin. I gave up the idea of a multicoloured selection. Thankfully, my mother in law enjoyed the ones that survived. 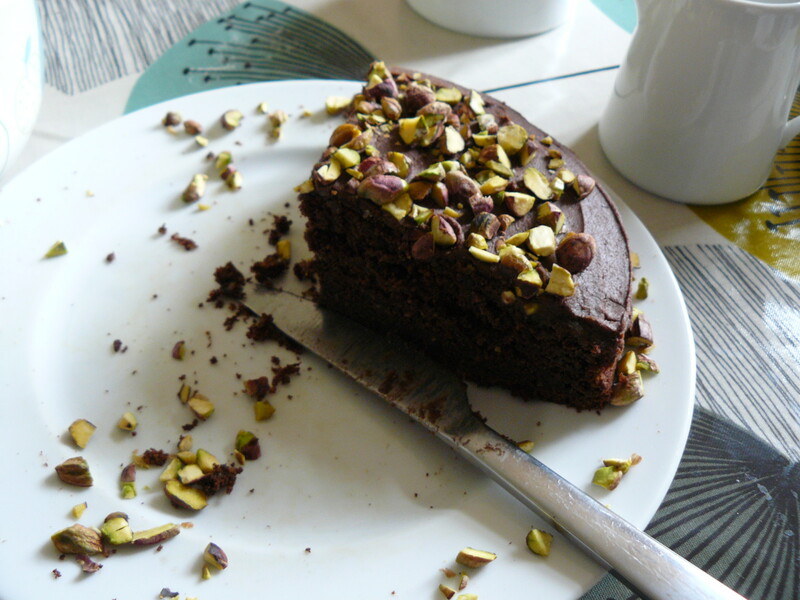 When Mother’s Day rolled around, we had the family over for an afternoon tea and served a chocolate pistachio cake – recipe courtesy of Harry Eastwood’s Red Velvet & Chocolate Heartache. This recipe is definitely a keeper. 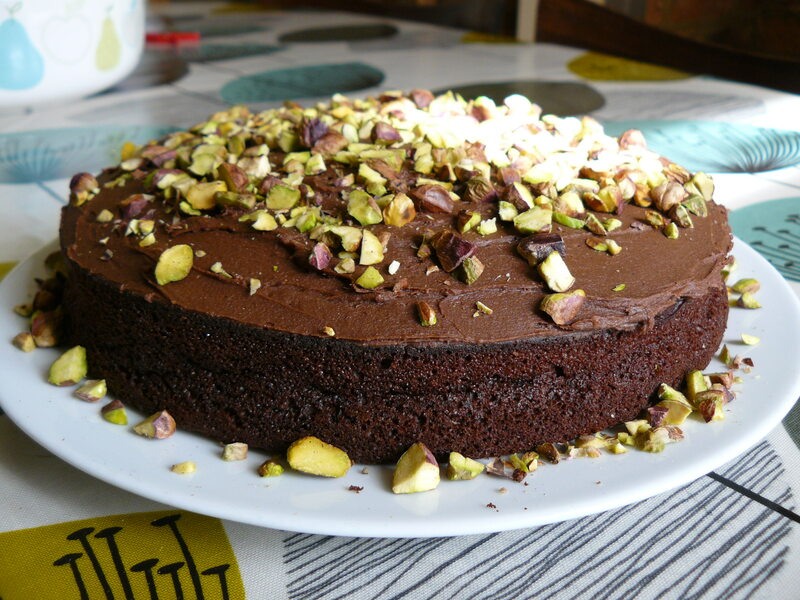 Dense rich chocolate cake made with courgettes (or zucchini for the US readers) made for a tasty afternoon treat that was enjoyed by the adults, as well as my 2 1/2 year old nephew. I think Mini G liked the cake, but was put off by the nuts that topped it. He’s a tricky one to please. I’ve been a busy bee lately testing out new things. 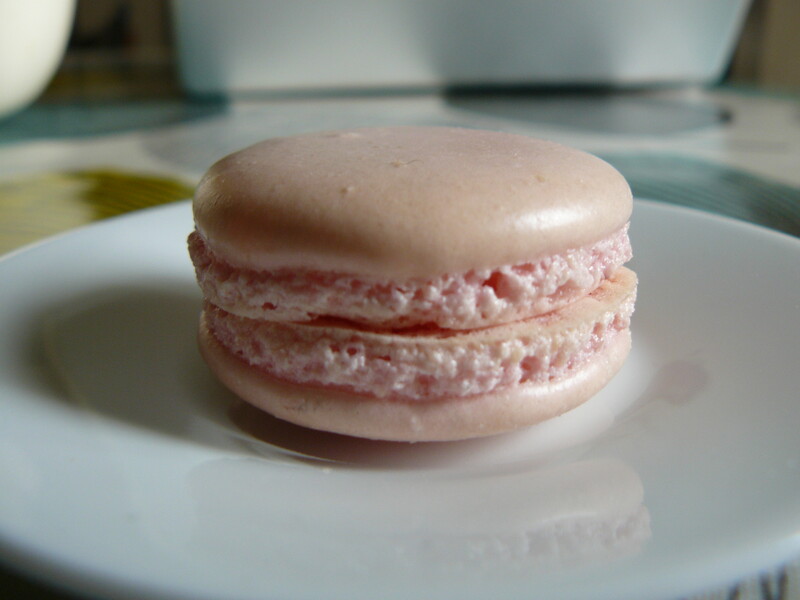 Last weekend I attempted the delicate treat known as the French macaroon (not to be confused with the coconut macaroon that bears little resemblance to its French counterpart but is equally tasty). 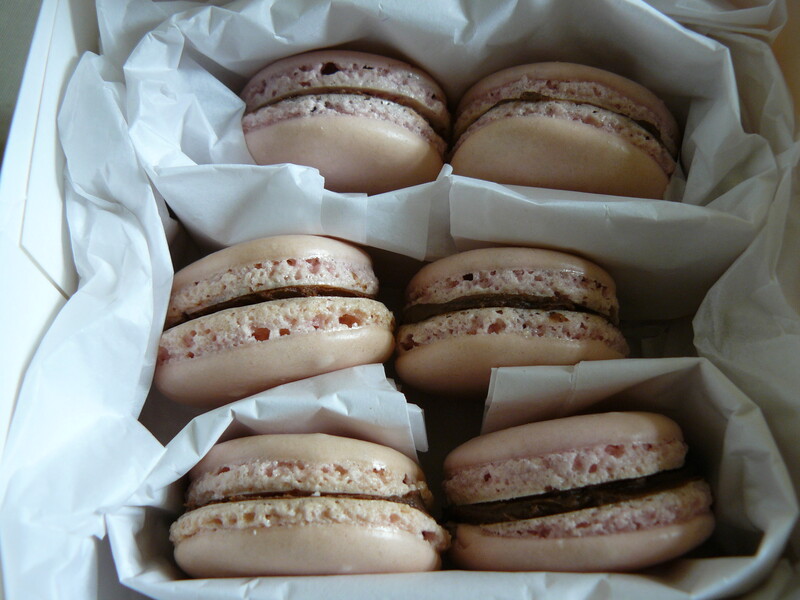 I’m not finished with the macaroon project, so stay tuned for that one. Color has frequently let me down with some of my past baking adventures. I tried to make orange and black cupcakes at Halloween, but they came out more of a salmon-y shade rather than pumpkin, then I tried to make purple and it came out a sort of gray/lilac. After extensive quizzing of the “cake lady” at my local cookshop and recommendation from other baking friends, I invested in some color paste. They’re not cheap, so as not to break the bank I purchased the primary colours and “Claret” which is really good for achieving the ultimate shades of pink. 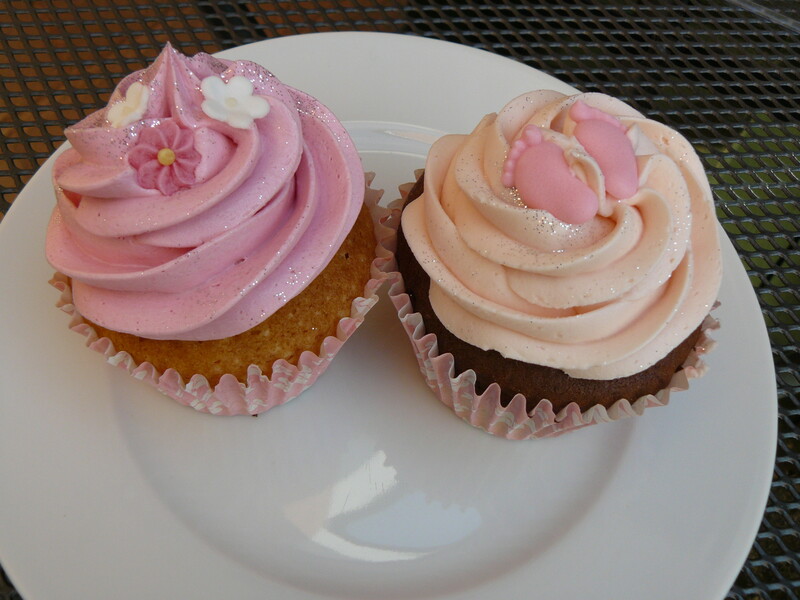 I’ve got another cupcake project coming up with the request to have different shades of pink frosting. So as not to jump in blindly, I decided to have a testing weekend. 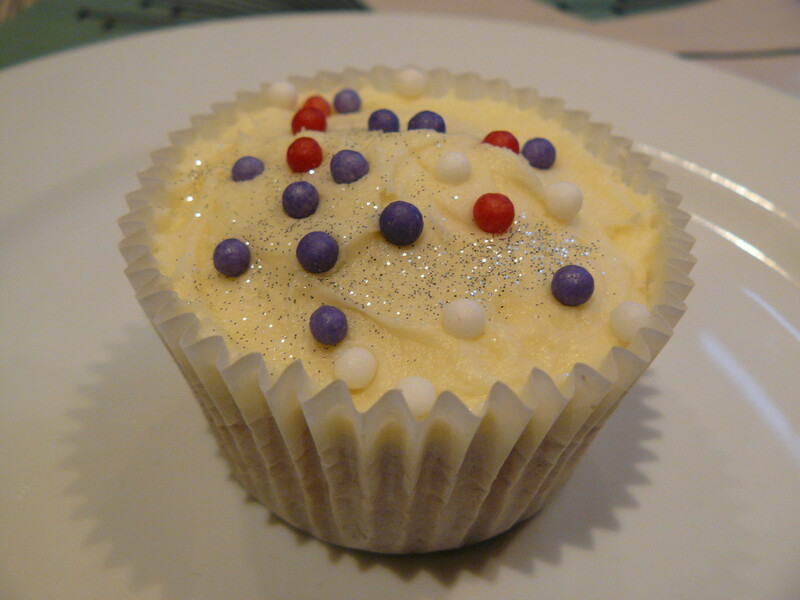 I made some simple, but very tasty vanilla cupcakes from the Primrose Bakery Cupcake book. For the frosting, I used their vanilla buttercream recipe. Mini G helped me choose which colours to create. We went with pink, green, purple and plain. For the pink, I used 2 drops of “Claret”. It achieved a nice bubble gum effect pink, very vibrant. This green would be perfect for pistachio. I used a combo of approximately 3 drops “Egg Yellow/Cream” and 1 drop “Ice Blue”. Since this was a color experiment and not a decorating experiment, I decided to go crazy with all of the different toppings in my collection. I’m pleased with the investment of the new colors. My cupcakes will thank me for it.